Hey there! My flyers for Blue Print were featured on the fabulous Print & Pattern blog in the lead up to the show this May. Bit excited to see this.....only a few more sleeps and I'll be flying to New York. I'm looking forward to meeting new clients, buyers, art directors and manufacturers, as well as all the super talented artists. It's going to be amazing. As seen on the Print & Pattern blog. You can view my show flyers here. On Thursday March 15, I was excited and very happy to see that my artwork was featured on the amazing Print & Pattern blog by Marie Perkins, aka Bowie Style. Any designer will tell you that this is A BIG DEAL, It is an awesome blog - industry leading. When it started there was nothing like it available on the internet. It is a huge credit to Marie that her blog is so successful. It shows beautiful artwork from artists and designers from all over the globe. I even cried happy tears. It meant a great deal to me to be included. Happy news to share today. There's an interview with me over on the Next State Print Journal. I began using the digital fabric printing services of Next State Print in the early days of Pattern Play Studio's development. I had resigned from a full time job (I'll save that story for another day), and in-between graphic design briefs for clients, I started to steadily work towards my dream to design for fabric. Happy to say that my dream is coming true and I have Next State Print to thank for this opportunity. Next State Print have developed the Fabric Creator, a fully integrated online 'web to print software solution' that allows customers to either upload their own designs, or select an original design via the Artwork Library. 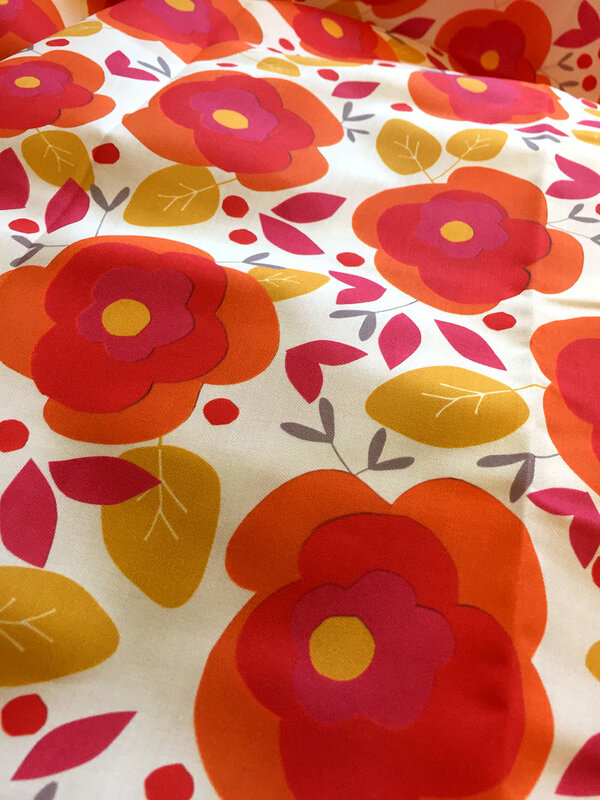 They can pick their fabric, choose the scale of their pattern and place an order for digitally printed fabric, pay online and then await the postman. It's so easy. And with just 1 metre as a minimum order this really is awesome news for the creative small businesses here in Australia. I started out as a customer needing a solution for economically priced, digitally printed fabric here in Australia. Today I am one of the Designers included in their Artwork Library, a very proud moment for me as I strive to grow my little business. Other designers include the very talented Ellie Whittaker, Annie Cooper, Kelly Kratzing, Emily Wills, Ellen McKenna, and Angie Hollister. You can read more about these textile designers here. I know as fellow creatives learn about this excellent platform, more up and coming textile and surface pattern designers will want to join in. If you'd like to read my interview with Next State Print, you can read it here. Well hello there! I was recently asked to answer some questions about being a Designer. This interview is featured on the great website and blog by Rise, Design and Shine. You can check it out here if you want to take a look. It's actually quite interesting to think back and reflect on why I became a surface pattern designer, what are my 'go to' tools and design process, or who i think the greatest designer to have ever lived is. I did my best and answered from the heart. I think that's all one can ever do really. Enjoy the insights. Surface pattern designer interview with Rise, Design and Shine. I have a tendency as a designer to illustrate or paint florals. It's my 'go to' subject matter. But lately i've begun a challenge to test my drawing skills. Or actually, try and improve them. So in the spirit of a good challenge and to expand on my folio, i'll be designing a different pattern a day that must not contain a single flower. Ok, I've allowed myself a leaf, but definitely no pretty petals. Here is an image showing my finished penguin print design. I wanted a few positions of penguins and included a path of their footprints to give depth and a texture to the crisp white background. I also limited the colour palette to three colours. I bet a lot of penguins wish they were blue or coral coloured! Don't you? A cute onesie for a cute little one.